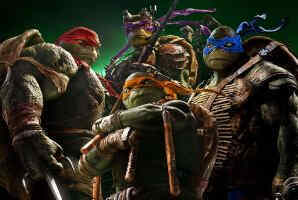 Teenage Mutant Ninja Turtles: Out of the Shadows is about four ninja turtles and the friendship they share between them. In the animated movie directed by David Green and produced by Michael Bay, the four ninja turtles are computer-generated and they interact with live people. The movie starts with them watching a basketball game and eating pizza in a basketball court. The movie also introduces a new alien villain Krang who opens a portal in the sky. In the end, they are rewarded for their crime-fighting and given the gold key medal by the Police Chief. Overall, the movie is good watch, full of action and has excellent 3D effects.